If you own or manage a business and are considering outsourcing your IT to a managed service provider, you’re on your way to lower monthly expenditures and vastly improved technology and cybersecurity. Still have questions about why outsourcing IT support makes sense? Not sure how to go about hiring a managed IT service provider? When it comes to virtually any type of business in the world, technology is a must. You’ve got to be online with a top-quality website and on social networking sites. You need technology for your employees. You need technology to purchase equipment, supplies, raw materials, and more. And of course, you need to protect your virtual presence and all of your technology with excellent cybersecurity. Most business professionals start their businesses with the mind that they can do anything they set their mind to. And while this is an excellent mentality to have as an entrepreneur — providing all the necessary motivation to start a booming business — it’s also important to know when to ask for help. Nowhere is this more pertinent than with information technology, or IT. Unfortunately — unless you are specifically in the business of providing information technology yourself — this means you’ll have to have a strong team of IT specialists on your side. Why are in-house IT departments a bad idea for your business? 1. You’ll be paying someone to do nothing much of the time. IT departments are one of the only business departments that will have a lot of downtime that cannot be avoided. IT professionals only do IT. That’s all they know, and it’s all you’ve hired them for. Therefore, if nothing is going wrong with your technology, if your website looks great, if internal computers and printers are working swimmingly and the network is fine, if all of the security measures they wanted to implement are already in place … your in-house IT team won’t be doing anything. 2. Often, in-house IT needs help. Again, the IT department is only needed rarely in an average business. But when they are needed, it often occurs that the department is not big enough to handle the problem. For example, the IT department may need to outsource their services to a professional managed service provider in the area when a serious problem like a cyber hack becomes too big. This means that you need to pay that managed service provider. So, for the job that you are paying your in-house IT department, you are actually paying them (and they may not be able to handle the problem alone), and you are paying an IT service provider. 3. You’ll lose time micro-managing. When all of this is going on, you, as a business owner, will be forced to get involved in the technology of your business at regular intervals. While this is normal for any business owner or manager on occasion, you shouldn’t need to be so involved that it takes you away from doing other more important things. The whole point of having an in-house IT department is that they take care of your IT so you don’t have to. When you are constantly intervening to help, guide, or hire MSPs, you’ve got problems. It isn’t always the case that you’ll need to outsource your IT, but this is a common problem that business owners face because in-house IT workers simply don’t have the incentive (or often, the training) to know about the latest in cybersecurity, technological advances, and updates to data cabling etc. These are all things that professional IT companies are constantly aware of because it’s all they do. With in-house IT, you simply don’t have the talent pool or excellent resources you’ll need for top-of-the-line IT. That’s a flat no. Again, entrepreneurs and leaders in business are unique creatures in that they genuinely feel that they can accomplish anything they set their minds to. We’ve already covered why this is absolutely excellent for getting great business ideas, bringing them to fruition, and creating businesses that thrive and grow. But at certain times, it is critical that you release the mentality that you should handle it all. Certainly, you should not handle it all. You simply do not have time, and your talents and abilities should be put to better use than managing IT. While we will assert time and again that information technology is absolutely essential to your business, and it is crucial that you find the best-managed service provider out there to handle your IT, this isn’t your job. Like everyone else, you only have so many hours in the day, and you need to spend those hours taking care of your business and doing what you’re best at. As you can see, the answer to better IT for your business is outsourcing. 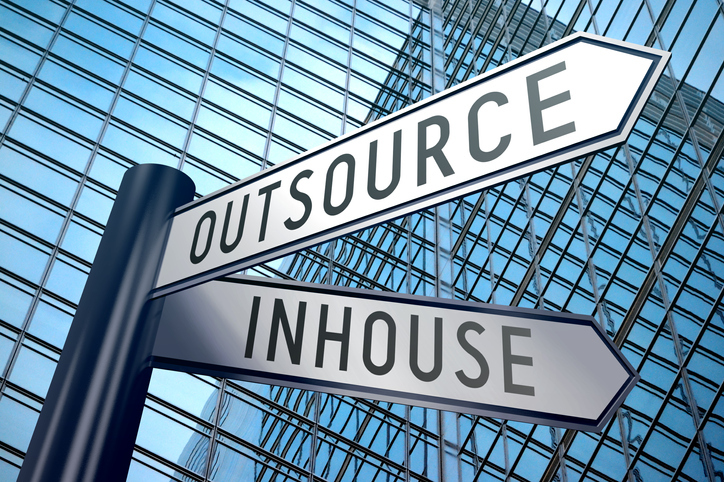 When you outsource your IT, you generally hire what’s called a managed service provider or MSP. Search for MSPs in your area. These companies provide all different levels of IT support to their customers (businesses or organizations like yours). They range in size and breadth of services, but one thing is common: They won’t be wasting your money, time, or resources when you don’t need their help, but when you need them, they’ll be there in a flash with all the know-how, skill, and hardware you’ll need to get the job done right. Outsourcing IT services to an MSP is the best answer to your business IT concerns.